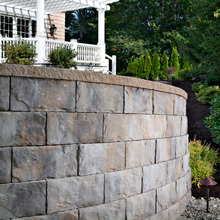 Retaining Walls, in addition to providing strength and beauty, can create signature hardscape designs that set your project apart from all others. 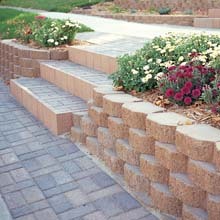 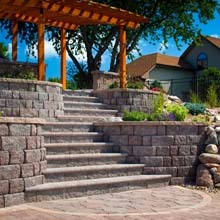 Retaining walls can provide detail and accent to a large lawn or green space, grandeur to driveways and walkways or truly create a unique pool/patio area. 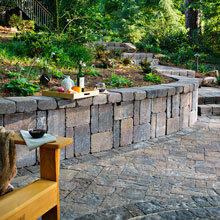 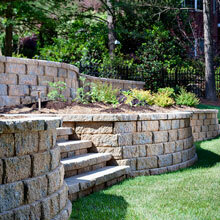 Retaining Walls can give a space identity to suit its purpose, whether it be lounging or playing. 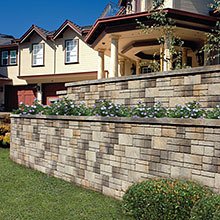 Walls can hold back slopes and add space for new expanded patios or even open up larger outdoor living areas by closing off unsightly views. 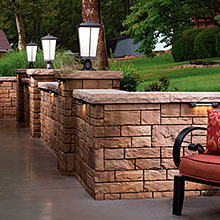 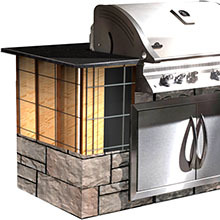 They can define your outdoor rooms, whether you're planning a quiet patio area, a space for dinning or just a secret garden oasis. 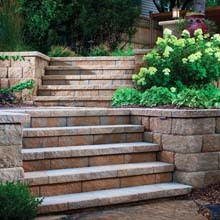 Whatever you imagine we can create. 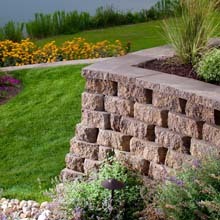 If you are looking for a retaining wall area please contact us today for your free quote.